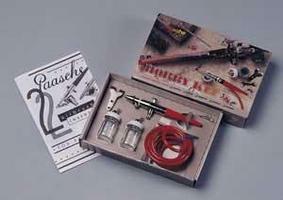 Shop online for 97 paasche airbrushes at discounts up to 52%. 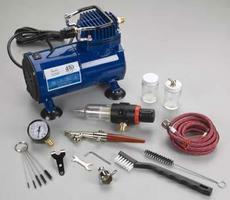 Accessories is the most popular of the 5 paasche airbrushes categories, then Compressors, and Airbrushes. 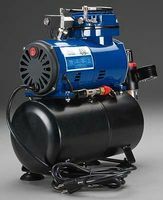 This is the Paasche DA300R 1/8 HP Auto Shut-off Air Compressor with Regulator:. The world's most popular airbrush recommended for beginners. This single-action external mix airbrush is sturdy and flexible. The H airbrush is dependable and adaptable for practically any hobby use. 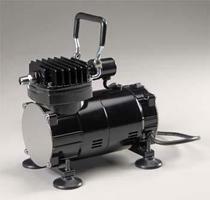 This is the Paasche D3000R Air Compressor with R-75 Regulator.:. 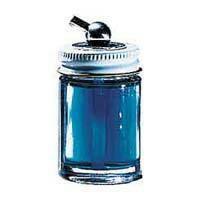 This is an H-1-oz Color Bottle Assembly from Paasche. 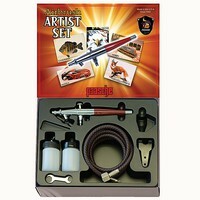 This is H100D Single Action Beginner's Airbrush Set from Paasche. This is a H-1/2-oz Color Bottle Assembly from Paasche Airbrushes. No other airbrush can offer more versatility. Used by most of the T-shirt artists in the U.S., this siphon-feed dual-action internal-mix airbrush can achieve spray patterns from fine detail to broader coverage handling light, medium and heavy fluids. The VL comes in three sizes available in 1,3 and 5, with the purchase of different size aircaps, tips and needles. This is a VL-1-oz Color Bottle Assembly from Paasche Airbrushes. This is a H-1/4-oz Metal Color Cup from Paasche Airbrushes. This is a VLT-1 Nickel Silver Tip for Paasche Airbrushes. This is a VLT-3 Nickel Silver Tip for Paasche Airbrushes. This is a VLN-3 Needle from Paasche Airbrushes. This is a VLN-1 Needle from Paasche Airbrushes. This is a VLT-5 Nickel Silver Tip for Paasche Airbrushes. This is an MT Moisture Trap from Paasche Airbrushes. This is the 1/2oz. Cover Assembly (14.5cc) (H1/2) from The Paasche Airbrush Company. This is the H Series O ring (6) from The Paasche Airbrush Company. This is the Color adj parts f/H#3 med from The Paasche Airbrush Company. This is a VL-1/4-oz Metal Color Cup from Paasche Airbrushes.